With more than 30 years of orthopedic history guiding its development, the Stryker Triathlon knee was released in 2005 as a single radius, high flexion knee replacement system. 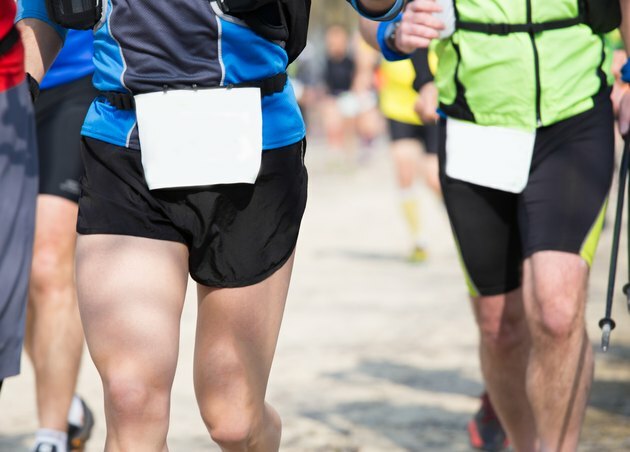 While the first artificial knees were simple hinges, the Stryker Triathlon combines technical materials, techniques and equipment for optimal surgical efficiency that results in improved post-surgical results, according to the Mayo Clinic. However, despite the materials, techniques and equipment, there are still potential problems with the Stryker Triathlon knee. The Stryker Triathlon knee is designed to regain natural knee movement by allowing the knee joint to roll and glide as it bends through a full range of motion of 150 degrees, notes aboutstryker.com. The natural range of motion relieves your pain while improving longevity of the knee replacement. However, a potential problem with the Triathlon knee that can reduce range of motion is stability and stiffness as a result of surgical procedures -- and insufficient muscular strength to stabilize the knee joint. Stryker uses a detailed doctor consultation to ensure a proper fit based on a number of factors such as your age, weight, activity level and overall health. However, if these factors are inaccurately measured, the Triathlon knee won't fit properly. According to Craig Gerrand, Consultant Orthopaedic Surgeon at Freeman Hospital, another potential fit problem comes from the device that pulls the fixation pins used during surgery. While the Stryker Triathlon knee is built with high-grade plastics and polymers for longevity, there is still a potential that the knee replacement can wear out. The design and materials reduce stress and wear for durability, but your bodyweight and activity level can negatively affect the longevity. With daily stress, the knee replacement parts can eventually wear out -- and that could lead to nerve damage. During the Triathlon knee replacement surgery, the surgeon uses technical instruments for improved accuracy and simplicity, but there is still exposed body parts as he cuts away damaged bone and cartilage in the knee joint. This could eventually lead to infections that can occur years after the knee replacement as a result of the bacteria in your bloodstream. Common symptoms of a possible infection include fever, shaking chills, drainage from the knee and increased swelling and pain in the knee. What Are the Symptoms of a Failing Knee Replacement?